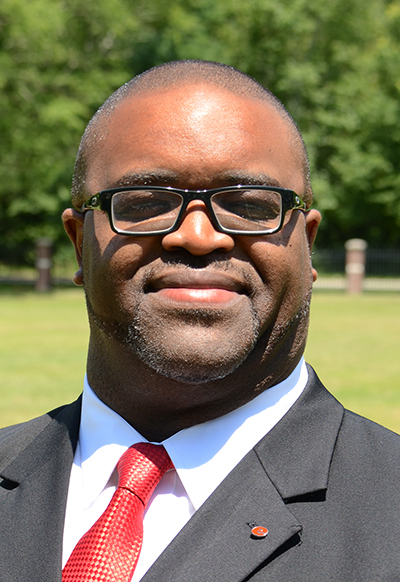 Southern Illinois University Edwardsville will welcome alumnus Timothy Staples, EdD, back to campus as director of its new Center for Student Diversity and Inclusion. Staples will assume his new role on Monday, July 16. SIUE’s Center for Student Diversity and Inclusion will serve as a support and advocacy center for underrepresented students through programming, services, student retention initiatives and professional advocacy. The new center will raise awareness for the SIUE Community about student diversity issues through the coordination and implementation of events, workshops and training. Staples brings to SIUE more than 19 years of experience in secondary and higher education. Since 2015, he has served as director of campus life at South Carolina Governors School for Science and Mathematics where he oversaw student housing, orientation, student conduct and programming. In 2007, Staples began his career in student affairs as a residence hall coordinator at Illinois State University. From 2008-12, he served as assistant director of residence life for diversity initiatives and student leadership development at Miami University. From 2012-15, he was assistant director for training and leadership development at American University in Washington, D.C. Staples earned a bachelor’s in historical studies from the SIUE College of Arts and Sciences in 2000. He completed a master’s in educational leadership in 2003 and a doctorate in leadership and administration in 2017, both from Aurora University. The successful candidate search was chaired by Kelly Jo Karnes, director of the Morris University Center and Kimmel Student Involvement Center. Committee members included Dr. Jessica Harris, Dr. Earleen Patterson, Dr. Kamran Shavezipur, Natalie Hawkins, Brian Hinterscher, Ivan Solis Cruz and Ramon DeShazer. Photo: Timothy Staples, EdD, director of the SIUE Center for Student Diversity and Inclusion.